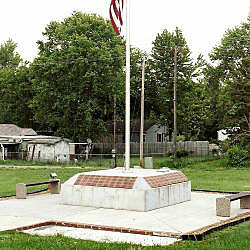 Description: The concrete base is decorated with bricks, inscribed with names of donors and honorees. 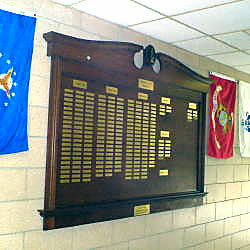 Plaques mounted on the top read: "To Honor All ~ Who Have ~ Served In The ~ Armed Forces ~ Nov. 11, 2004" and "Donated By ~ Lyra Lodge ~ No. 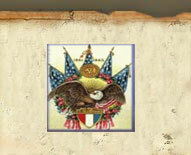 256 AF & AM ~ In Memory Of ~ McLouth Servicemen ~ 1776 - 1976". 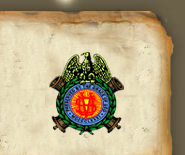 Description: This walnut plaque, mounted inside the County Court House is identified as "Jefferson County Memorial". It has a small plaque on the bottom reading: "Dedicated To ~ Those Who Lost Their Lives ~ While Serving Their Country". 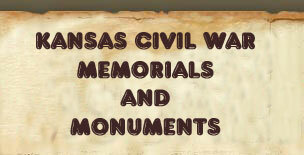 Names are listed for Civil War, World War I, World War II, Korea, Vietnam, and Desert Storm. The plaque is surrounded by flags of the services. 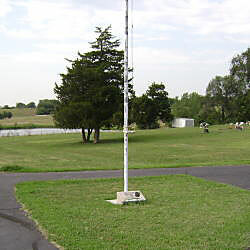 Description: A cast aluminum plaque is mounted at the base of the flagpole. The plaque reads: "Dedicated To The Memory ~ Of All ~ USA Veterans ~ ~ Grahem - Herbers ~ V.F.W. Post No. 3084 ~ 1989".